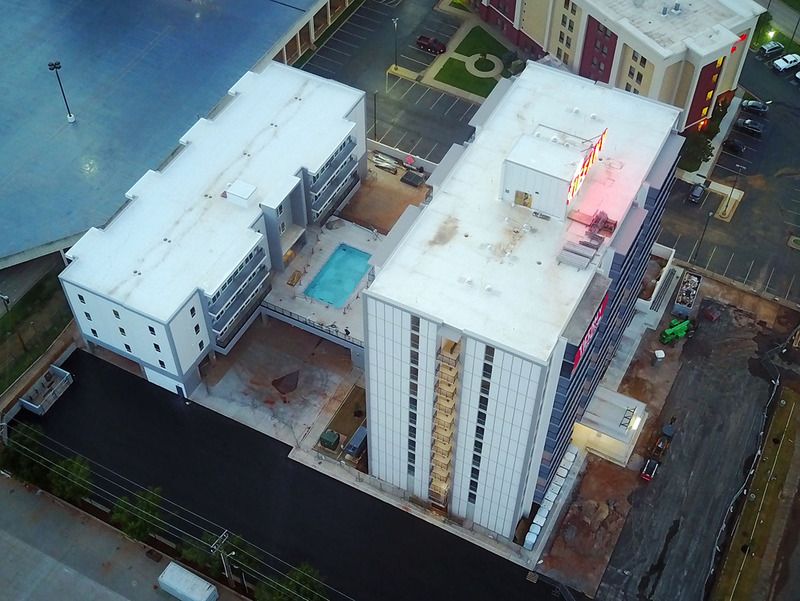 The 12-story building was originally built in 1966 but had seen little in the way of improvements when it was purchased in 2008 by Ferguson Property Group of Tulsa. Developer Glenn Ferguson considered several redevelopment plans, inlcuding totally re-skinning the building and adding sizeable new structures to the west and south. But after years of planning, Ferguson utlimately had the building added to the National Historic Register which allows for helpful tax credits but also requires the exterior to remain largely intact. Originally known as Tiffany House, it was one of 3 mid-century high-rise apartment buildings in Oklahoma City constructed between 1960 and 1967, the other two being Regency Tower downtown and the nearby Lakeview Towers, now known as the Mid-Town Apartments. Ultimately, work started in 2016 on completely gutting the interior back to its poured-in-place concrete walls and adding 3 levels of new apartments and a pool over covered parking. 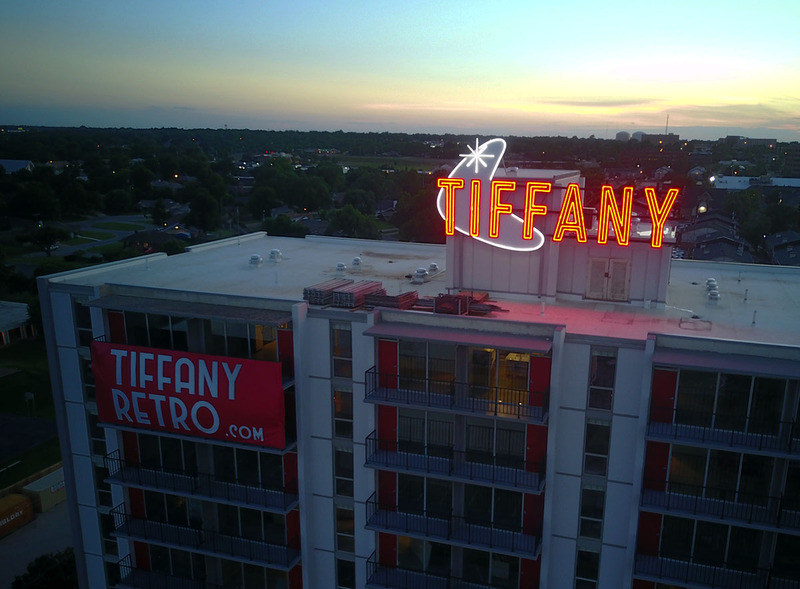 Just last week, the iconic Tiffany sign was once again illuminated after it had been completely reworked to include LED lighting and a distinctly retro logo. 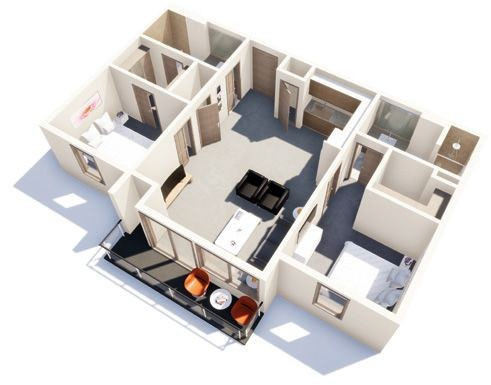 The $25 million renovation also involved combining the mostly tiny apartments into more modern 1- and 2-bedroom floorplans complete with stainless steel appliances, granite countertops and in-unit washers and dryers. In addtion to the pool, a new fitness center will be on-site along with other modern amenities. 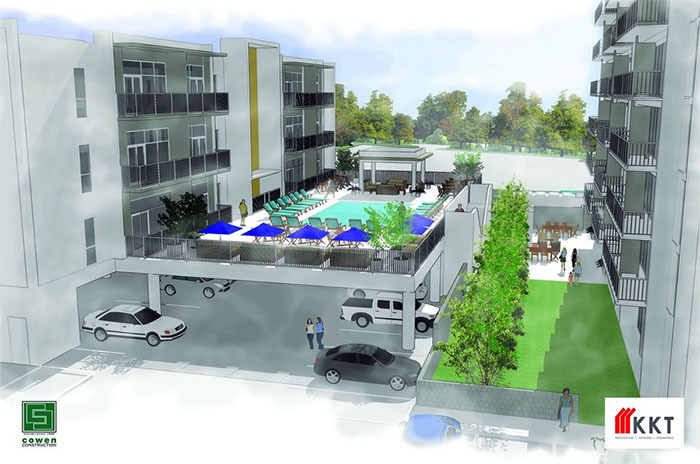 All units feature balconies, many providing panoramic views of downtown and Lake Hefner. 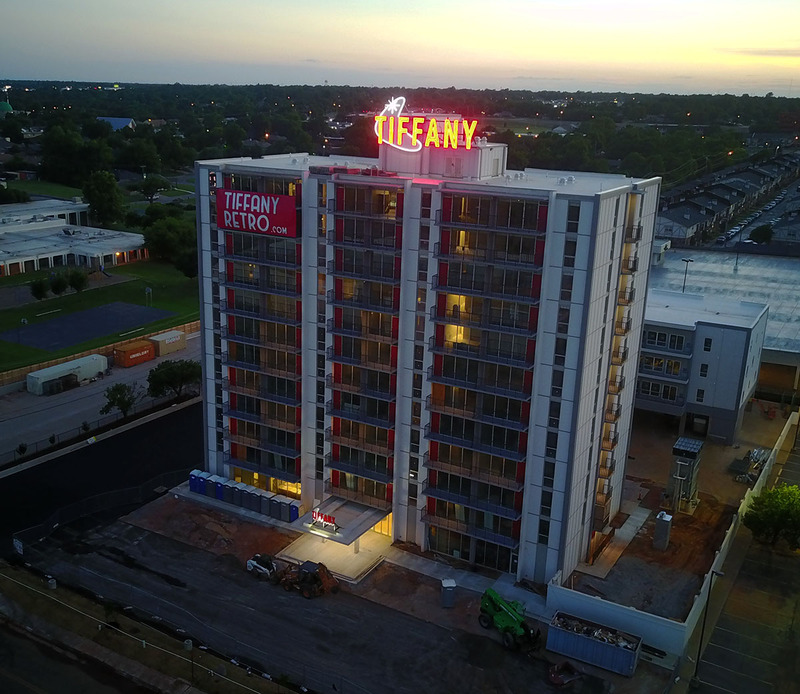 The 150 units are being pre-leased now at tiffanyretro.com.